Close-up of diamond engagement ring. 1 What to Do With Old Engagement Rings? Selling an engagement ring isn't just about selling a piece of jewelry. The ring has significant emotional ties, whether you call off the wedding, get divorced or simply want a bigger ring. Working through the emotional component is important, but you also need to do research on how much the ring is worth and the best avenue for selling it. Even if you're no longer with your partner, your engagement ring was given in love. It symbolizes the relationship you had. If your decision to sell the ring is a rash one, slow down to consider the emotional impact of letting it go. Otherwise, you may regret the sale in the future. Being emotionally tied to the ring can also cloud your judgment when it comes to setting a price. You might expect more from the ring than it's worth since it has sentimental value to you. As difficult as it is, try to keep the emotional element out of the sale so you can set a reasonable price based on the actual value. Using the original price of the engagement ring as a basis for determining what you can sell it for isn't a reliable way to go. The value of jewelry fluctuates, and the ring's current condition can lower the value if it's damaged or hasn't been maintained well. The way you sell your engagement ring affects how much you can get for it. You get less at a pawn show or from a jeweler than you do if you sell it privately, for example. The best way to find out the value of your ring is to have it appraised. A certified jewelry appraiser can thoroughly evaluate the ring to give you an estimate of the value, but this option involves paying for the appraisal. If your engagement ring isn't worth a lot, or you don't want to lose any of the profits, you can get an estimated value from a jewelry buyer or pawnbroker. To make sure you're getting a fair assessment, go to a few different buyers to see how the values compare. Keep in mind these people are trying to maximize their profits, so the estimates may be skewed in their favor. Once you know how much the ring is worth, you can set your price. Don't expect to get the full value from the ring. People buy used rings to get a good deal or to resell for a profit. If you expect too much from the ring, you may have to adjust your price to find a buyer. You have a few different options for selling your engagement ring. If you want to sell the ring quickly, the easiest option is to sell it to a business in the jewelry industry. This includes jewelry stores that buy used jewelry, diamond dealers and pawnbrokers. Expect to get less from the ring if you go this route. The advantage is a quick sale in a relatively safe setting as long as you choose a reputable dealer. Look for a business with a good reputation and long history. The Better Business Bureau is a good place to check for issues. Your other main option is to sell directly to another person who plans to keep the ring. You can usually ask a little more for the ring than you might get from a jewelry buyer. Safety can be a concern. Scammers sometimes try to con people out of jewelry. Selling through an online site like eBay or I Do Now I Don't gives you some protection from scammers. I Do Now I Don't requires you to send the ring to them while they hold the buyer's money in escrow. Once their gemologists authenticate the ring, the purchase is complete, and you get your money. You're parting with a valuable piece of jewelry, so you want to protect yourself in the sale. If you're selling to someone in the jewelry industry, get quotes from several options to make sure the first choice isn't trying to lowball the offer. 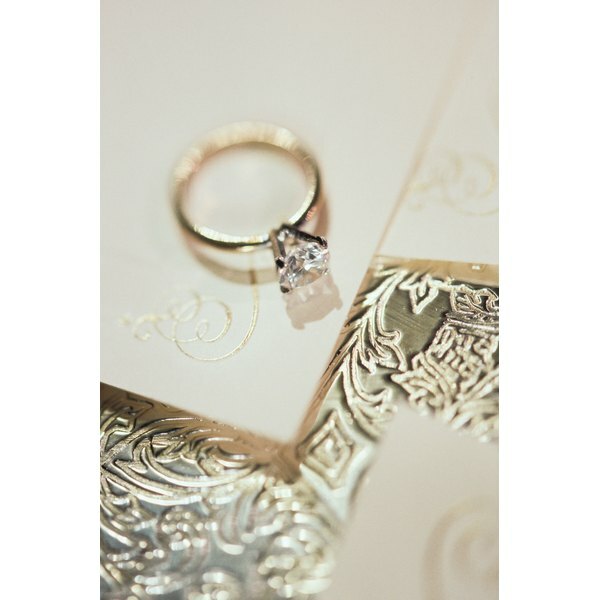 If you ship the ring to the jewelry business, document everything about the jewelry, including photographs. Ship it with tracking, so you can tell when the buyer receives the ring. If you're selling to a private individual, meet in a safe place for an in-person exchange. A police station is a good choice. Avoid accepting personal checks, which can bounce and be almost impossible to collect. Require cash, or take the payment via PayPal to ensure you actually get your money. What Do I Need to Know When Choosing My Girlfriend's Engagement Ring?